Tourmaline Jewellery| Low Prices at Rocks & Co.
TOURMALINE JEWELLERY ONLINE AT Rocks & Co.
Find a wide selection of beautiful jewellery set with Tourmaline in all colours and at the best prices at Rocks & Co., your online jewellery store. Tourmaline is the chameleon of gems: due to the immense diversity of its colours, it is often confused with other precious stones. There are a lot of colourful varieties of Tourmaline, but they do not have the same rarity! Indeed, there are extremely rare Tourmalines. 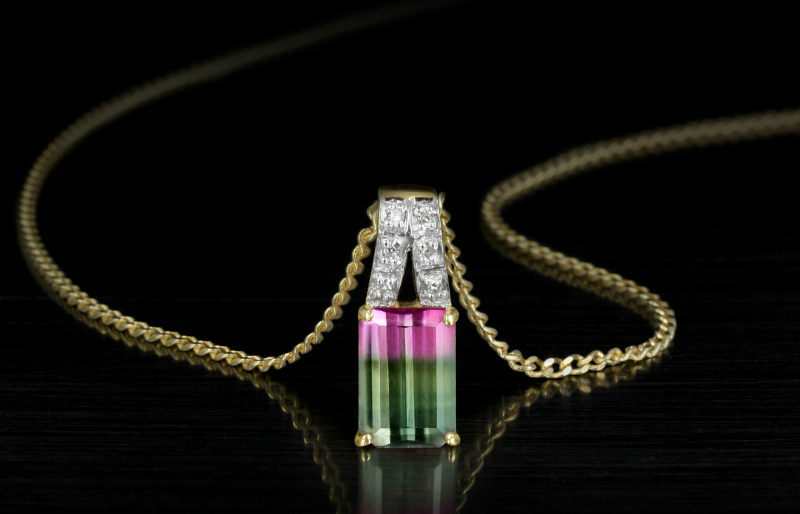 It is said that Tourmaline is known since the 3rd century BC. But it has often been confused with several other precious stones, so it is difficult to date precisely the knowledge we have of this gem that is Tourmaline. There are many varieties of Tourmaline, Rocks & Co. is therefore able to offer an immense range of jewellery set with Tourmaline. All of the jewellery is available to purchase in our online shop, and you will easily find rings, bracelets or pendants at the lowest price for impeccable quality. We also deliver a certificate of authenticity with each of our pieces. Moreover, we offer a guarantee on all our products so that we can order without any risk! Our customer service will always be attentive to any need or advice. Indeed, there are a multitude of different Tourmalines, and our experts will be delighted to speak to you verbally ... We should not confuse a Tourmaline chromiferous with an emerald, or rubellite (which is Tourmaline!) with a Ruby. You will find in our online shop, jewellery set with Tourmaline which is affordable for all budget ranges.